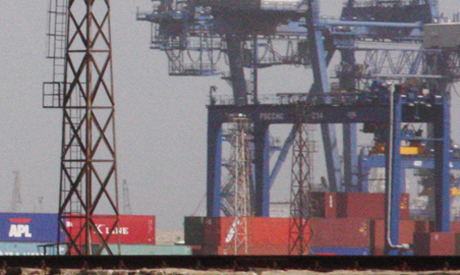 Egypt's total exports hit LE79.3 billion (roughly $11.3 billion) in the first six months of the current year 2013 - a 17 percent rise compared to the same period last year. The latest report issued by the Egyptian Organisation for Exports and Imports Control shows the furniture industry topping the increase in the country's exports, registering at LE1.3 billion (roughly $144 million) in the year-to-June period; a 45 percent rise from the first half of 2012 according to the Al Ahram Arabic news website on Friday. Fruits and vegetables take second place on the exports' list, generating some LE750 million (roughly $107.3 million), followed by construction and building materials at LE500 million (roughly 71.5 million). Egypt still runs a huge merchandise trade deficit, which was $23.8 billion in the financial year to March. This was already 2.7 percent narrower than in 2011-12, however, as exports grew and imports remained steady. The state's non-oil exports grew strongly for much of the past decade, rising 18.5 percent to LE130.1 billion (roughly $18.6 billion) in 2011 - the year long-time autocratic president Hosni Mubarak was overthrown - according to the State Information Service. Oil growth plunged last year as the election of the now-deposed Islamist president Mohamed Morsi worsened political tensions and deterred investment. Industrial unrest, poor security, fuel shortages and difficulties obtaining financing hit many companies. Non-oil exports inched up just 2 percent in 2012, but shipments began to recover around the start of the year, rising 7 percent from a year earlier in the first two months of 2013 and 15 percent to LE65.50 billion in the first five months. Trade Minister Mounir Fakhry Abdel Nour said in July that non-oil exports jumped 21 percent year-on-year in June.